Summer is Almost Here- Tips for a Bright, White Smile! Summer is only weeks away, which means a season full of vacations, adventures and great memories is just around the corner for most of our patients. Whether you are headed to a barbecue, a camping trip, hitting America’s open roads or just having fun in the backyard this summer, we want to hear all about it! Make sure to let us know what you’re up to as spring winds down and summer begins on our Facebook page! Everyone wants a glowing and radiant white smile when the sun comes around and we have a few reminders to keep your pearly whites healthy and beautiful over the summer! Try to stay away from drinks that will stain your teeth like coffee, soft drinks or dark colored juices- Not only will drinks like this weaken your enamel but they will also darken that fabulous smile your working on! Another tip is to try and focus on brushing your teeth- everyone knows when busy schedules start picking up, getting a good brushing session in tends to take the backseat! A good tip for keeping your mouth safe from staining and other possible pitfalls is to try and swirl your mouth with water after any meal you can’t fully brush your teeth after- your teeth, inside and out, will benefit! We also encourage you to post any photos from your adventures! Great question! When you first come in for your initial consultation your doctor will conduct a comprehensive examination to assess your oral health. This will better enable us to determine the best treatment method for you. At your second appointment, the doctor will discuss your options with you. Our team feels it’s important to take the time to carefully examine your diagnostic records after your consultation so that we can more thoroughly prepare for your orthodontic treatment. This additional preparation will ensure that you receive the best orthodontic care possible. At this time, we encourage you to ask us any questions you may have about your treatment. 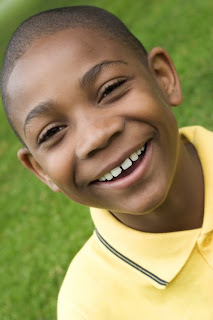 If you are seeking orthodontics for your child, our staff asks that both you and your child attend the initial consultation. We feel it is important that both you and your child completely understand the doctor’s recommendations before we proceed with treatment. You are currently browsing the The Darbro Orthodontics Blog blog archives for May, 2012.